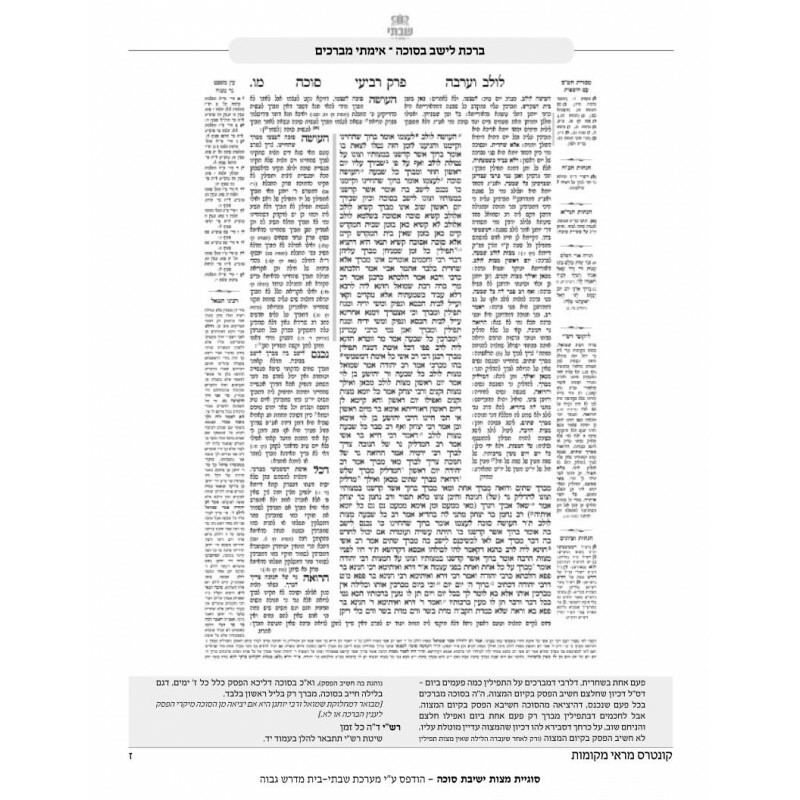 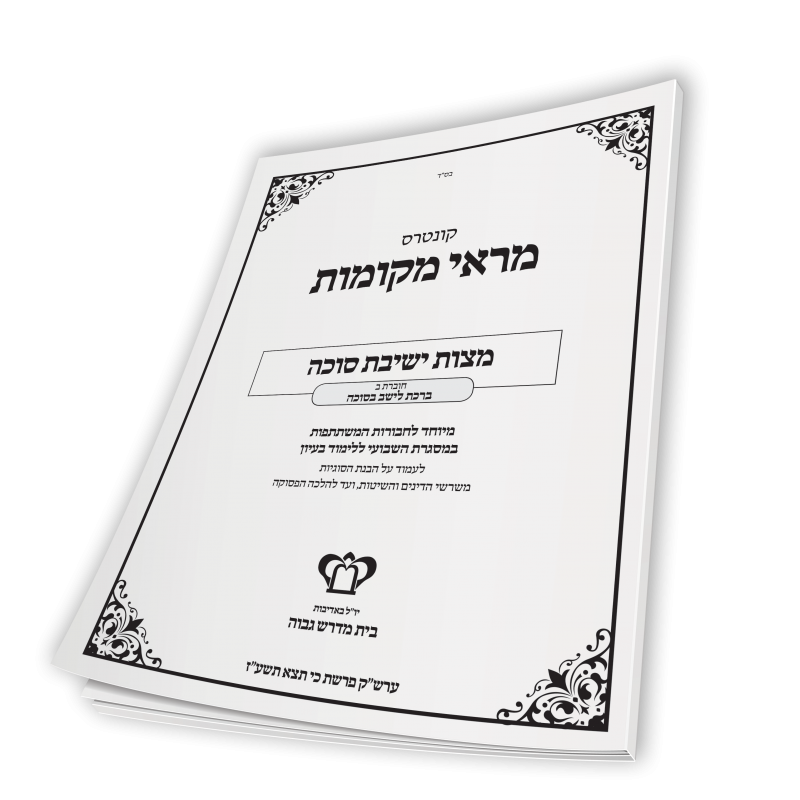 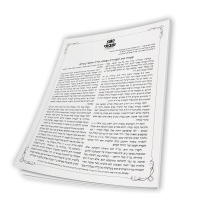 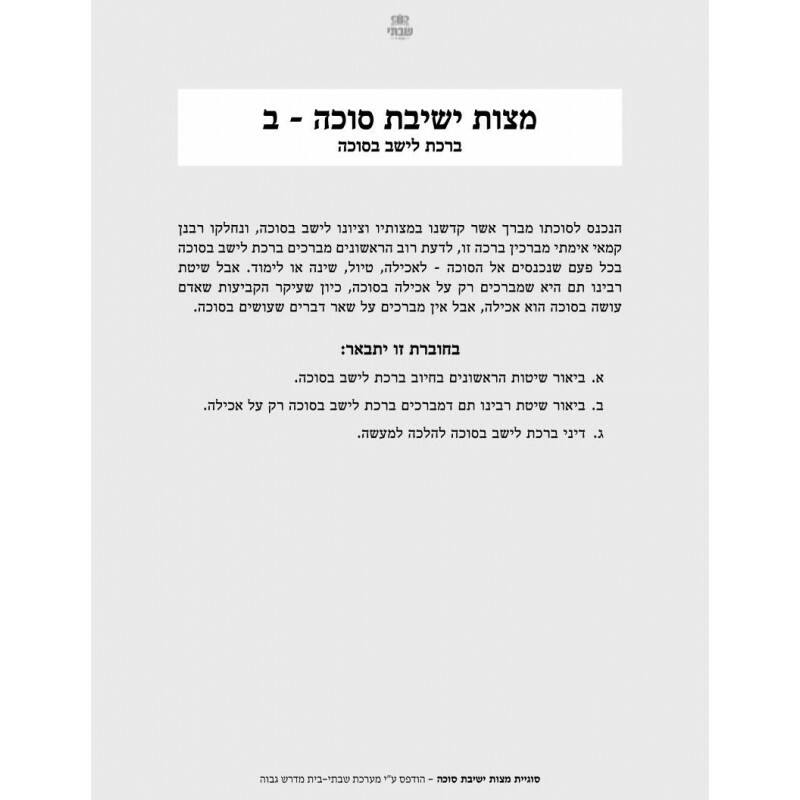 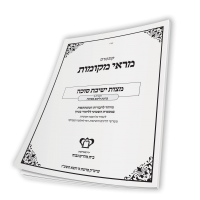 Discusses the Bracha of Leishev B’Sukka, which is said whenever the mitzvah of Sukka is performed. 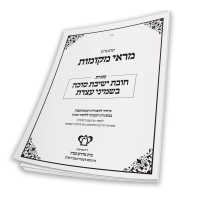 Also discusses the machlokes in the Rishonim describing which common activities in the Sukka (such as eating, drinking, sleeping, etc.) 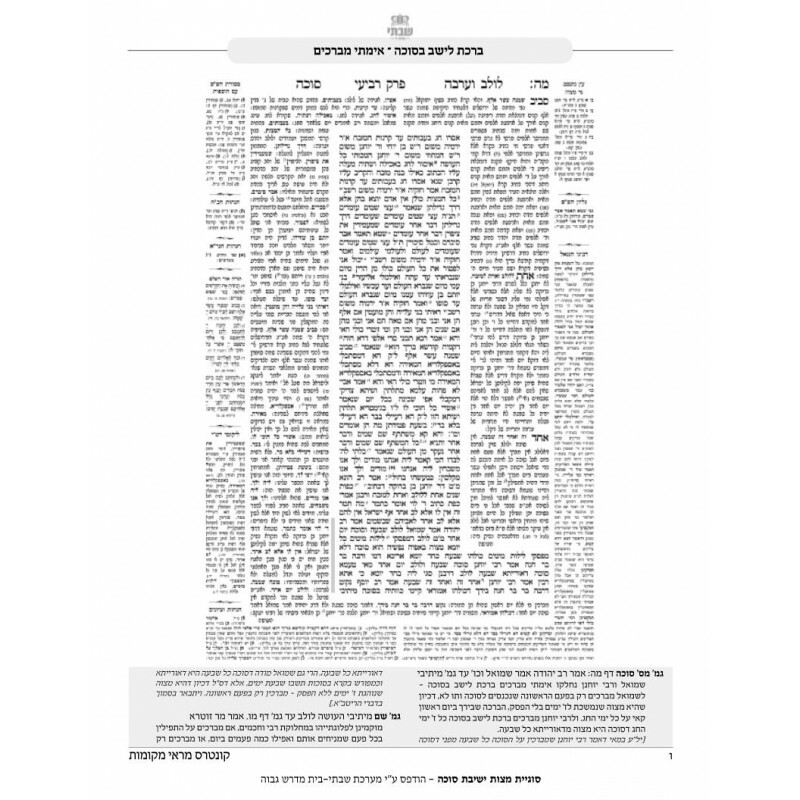 would require a Bracha. 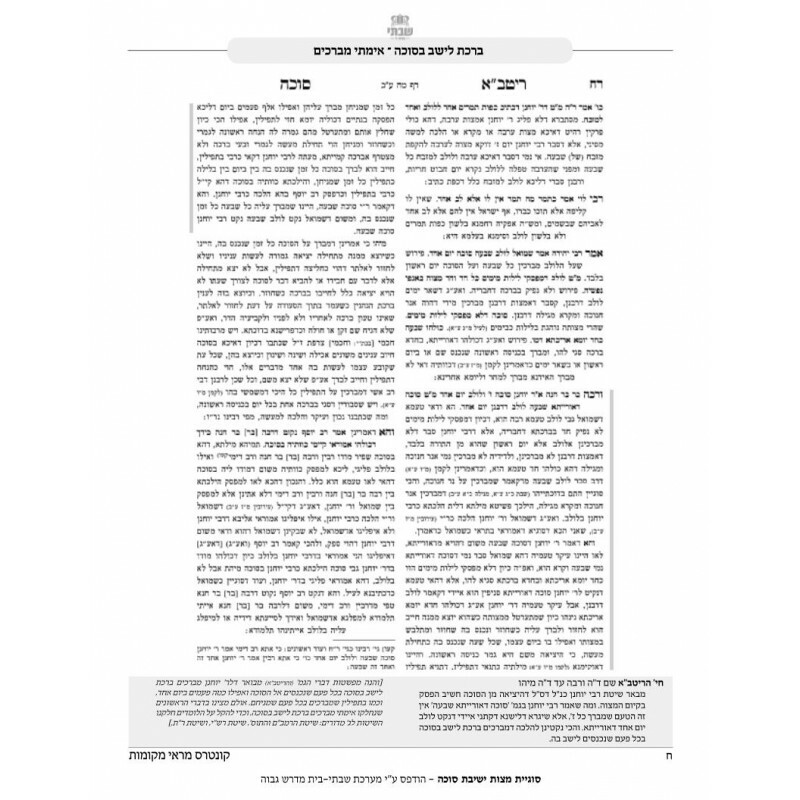 Also discussed, are the other halachic ramifications, such as if one is required to make a new Bracha upon returning to his Sukka after a brief break or upon visiting the Sukka of a friend or neighbor.